Kerala Onam Bumper Lottery BR 63 , the Thiruvonam bumper 2018 has released for sale. The lottery result draw of thiruonam bumber 2018 is 19/9/2018 Tuesday at Sree Chithra Home Auditorium, Thiruvananthapuram, Kerala. Ticket cost of this bumper lottery is Rs 250/- per ticket. First prize of Kerala Thiruvonam bumper lottery 2018 is Rs 10 Crore and the second prize is 5 crore , 3rd prize 3 crore and many more prizes. 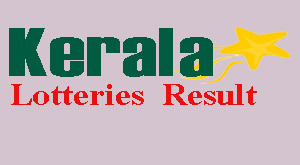 Thiruvonam bumper BR 63 Result will be published on www.keralalotteriesresult.in on immediate after the result declared. 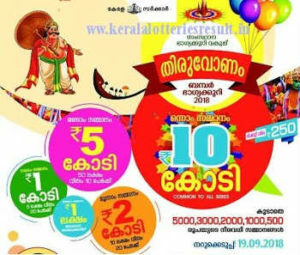 All the ticket holders can check the onam bumper result from here by the link "Kerala Thiruvonam Bumper Lottery Result.